1. 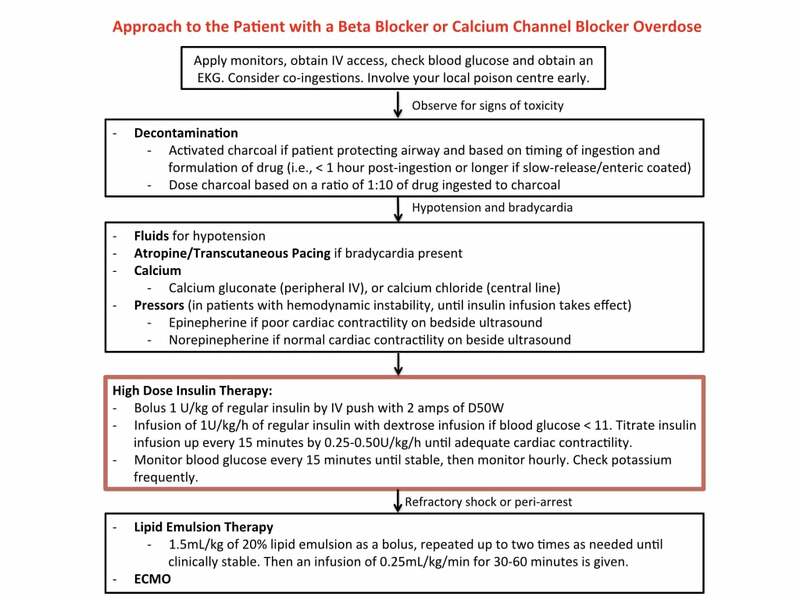 One easy way to give Lipid emulsion therapy: Give first 100mL of a 500mL bag of lipid emulsion as an IV bolus, and then give the remaining 400mL over 30 minutes. 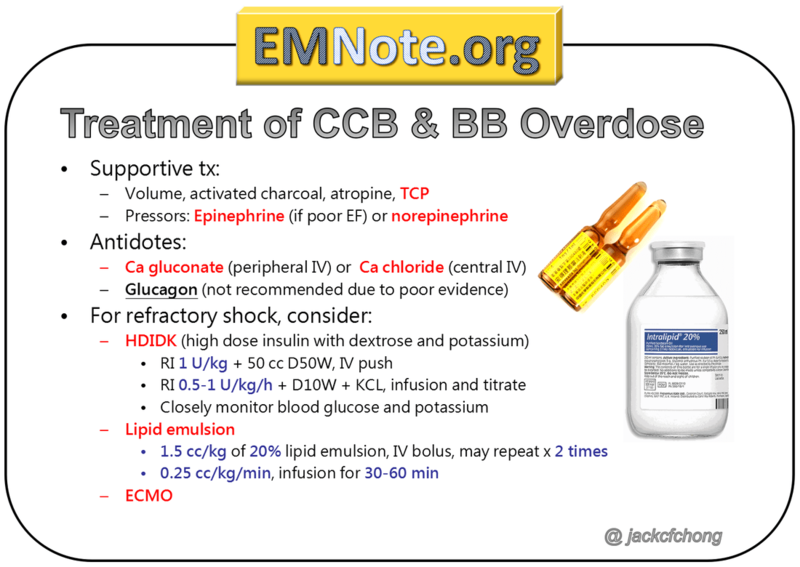 Note: Dopamine may be used for isolated bradycardia, but hypotensive patients should preferentially have direct vasopressors such as norepinephrine.